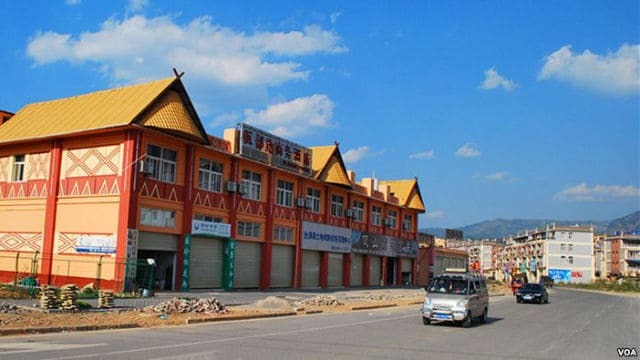 Over 20 schools set up by Chinese missionaries in Myanmar’s Wa State have been closed down, and many staff members have been arrested and later handed over to the Chinese authorities. On March 5, 2017, house church pastor John Cao was arrested and is currently serving a seven-year sentence in Yunnan. He was charged with organizing an illegal border crossing for himself and others from China into the Wa State, an unrecognized entity created by pro-Chinese forces that de facto control this region of Myanmar. The impoverished Wa State, with a population of 600,000, is, also known as one of the largest Asian centers of drug trafficking. Pastor John Cao has helped establish over 20 schools there for more than 2,000 children. 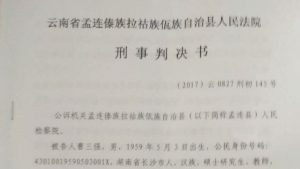 After his arrest, the Chinese government used the information found on John Cao’s computer to identify all the teaching and pastoral staff at the schools. Afterward, the CCP pressured Wa State, demanding the shutdown of the schools and arrest of its Chinese missionary staff. In early September this year, the Wa State government ordered the schools to be closed down. A local government official warned the schools’ staff that they would soon be arrested and urged them to leave. The same day, eight teaching and pastoral staff members were arrested. 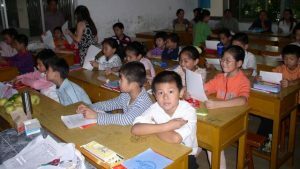 According to informed sources, the Wa State government has now arrested every Chinese citizen who has worked at the schools. Some of them were fined and detained afterward, some were deported, and others were handed over to the Chinese government, and have not been heard from since.